Planning a party has enough challenges as is, but one of the areas you want to make sure you have covered is the food. Hungry guests are difficult to keep happy especially if food is promised in advance through an invitation or by word of mouth. How much food is really enough is a question you should ask yourself at the start of your party planning. If your throwing a get together here are some tips on how much food you should really be buying. 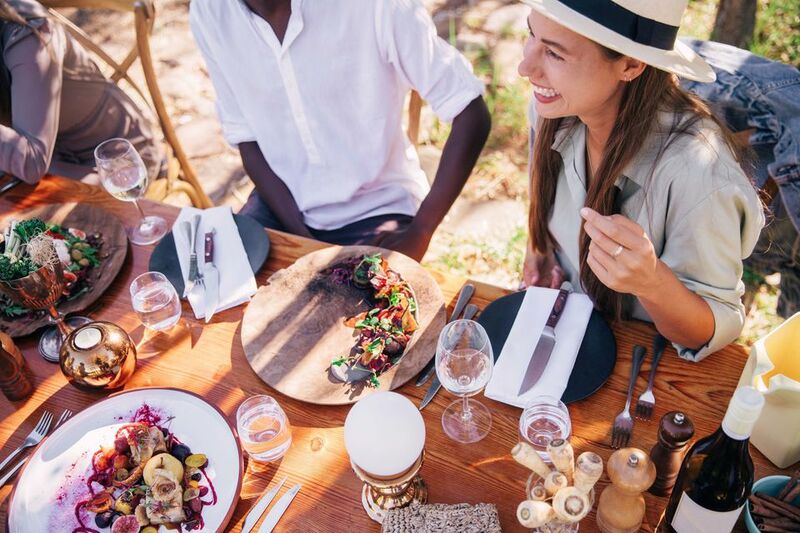 Many factors come into play when you make your plans including the length of your party, the type of food you'll be serving, the composition of men, women, and children in your group, as well as the richness of the food you plan to serve. The time of your party is also very important. An after-dinner cocktail party requires much less food than an all-afternoon barbecue. Not all gatherings feed equally and you shouldn't feel pressure to overfeed if it's unnecessary. Make sure to research what type of food is appropriate for each setting when entertaining. 4 - 6 bites per hour when hors-d'oeuvres are the meal. Don't repeat the main ingredient. For example, don't serve a shrimp appetizer and shrimp the main dish.